Dressed in the red and white robes of Santa Claus, Yoda carries a pack of presents on his back for all the good Jedis in the galaxy. 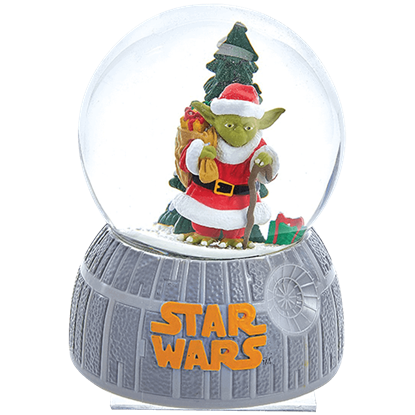 The Star Wars Musical Santa Yoda Water Globe is a thoughtful gift for the Star Wars fan in your life. This Stormtrooper has been assigned a task of utmost importance to the Empire. 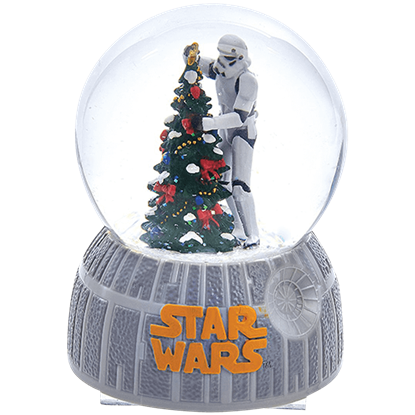 The Star Wars Musical Stormtrooper Water Globe depicts the iconic Star Wars soldier carefully decorating a Christmas tree as flurries of snow surround him.